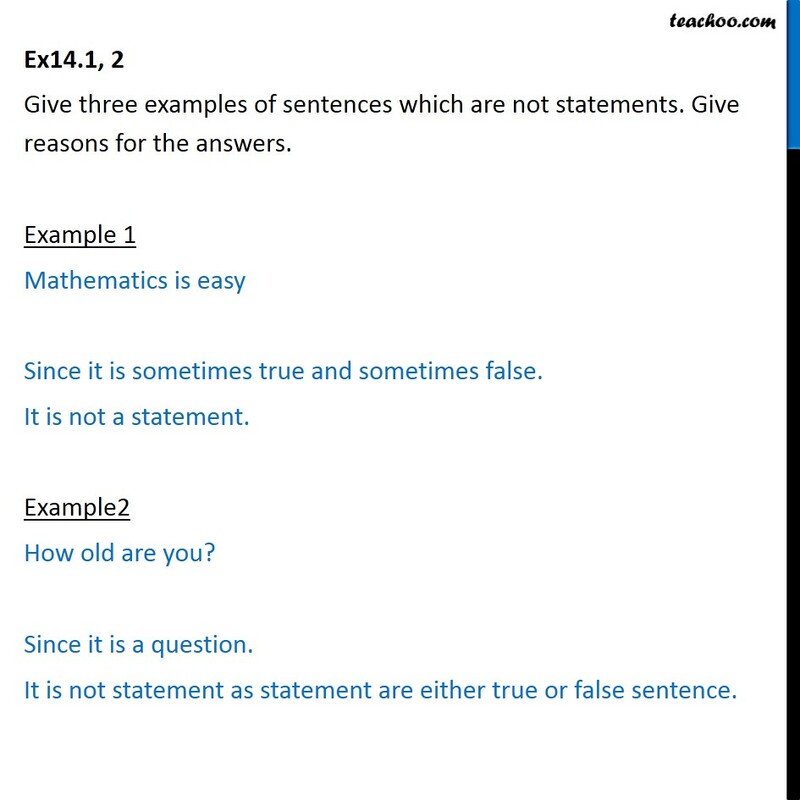 Ex 14.1, 2 Give three examples of sentences which are not statements. Give reasons for the answers. Example 1 Mathematics is easy Since it is sometimes true and sometimes false. It is not a statement. Example2 How old are you? Since it is a question. It is not statement as statement are either true or false sentence. Example3 What a match ! Since it is an exclamation. It is not a statement as statement are either true or false statement.